I love beets. They have a wonderful sweetness and texture. I sometimes cook beets into hot dishes, but my favorite way to enjoy beets is in a simple salad. For this particular recipe, I paired the beets with a tangerine vinaigrette with tangerine-infused oil and tangerine juice. The vinaigrette brightens the flavor of the dish and acts as a nice complement to the flavor of the beets. 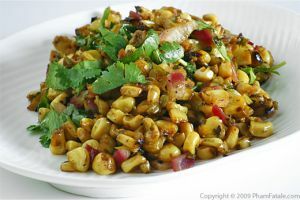 I also added corn to create a contrast of texture and color. The result is a salad with some very bold flavors. Zest and squeeze the tangerines. Finely minced the zest. Reserve the juice and about a teaspoon of zest for the vinaigrette. In a small saucepan, heat the oil with the cracked black peppercorns and the tangerine zest over medium-low (do not reach a boil) and cook for about 5 to 10 minutes. Let cool completely. 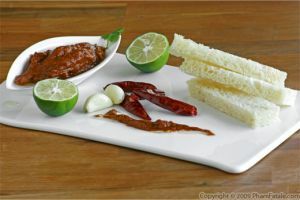 Strain the oil through a fine mesh sieve (or a double-layered cheese cloth) and discard all the pepper solids and zest. Wash the beets. Scrub them under tap water. Remember to trim off a little piece from the ends of the root. Cut into thirds, horizontally. No need to peel the beets. Once they are roasted, the peels will rub right off. Place in a large bowl. Drizzle with about 2-3 tablespoons of tangerine-infused oil. Season with kosher salt and pepper. Toss well. Wrap each beet (3 pieces) in aluminum foil. Place the 4 aluminum wrappers on a baking sheet. Roast for about 50-55 minutes. Let the beets cool completely in the aluminum wrappers for about anU hour and a half. Wipe the skins off using paper towels. Peel and dice the beets into 1-inch cubes. Chill in the refrigerator until you're ready to serve. In a bowl, dissolve the sugar in the lemon juice. Add the mustard. Set aside. Using a strainer, remove the pulp of the tangerine juice. Place the tangerine juice in a small saucepan. Bring to a boil, then immediately decrease the heat to a gentle simmer for a little less than 5 minutes. Add the finely chopped tangerine zest. The liquid should reduce to about a tablespoon of tangerine juice. Remove from the heat. Add salt and immediately emulsify the vinaigrette with the remaining tangerine-infused oil while the juice is still hot. Add the mustard / lemon juice mixture. Add the pickled garlic. Finish with white pepper. Remove the diced beets from the refrigerator 15 minutes before serving to bring them back to room temperature. 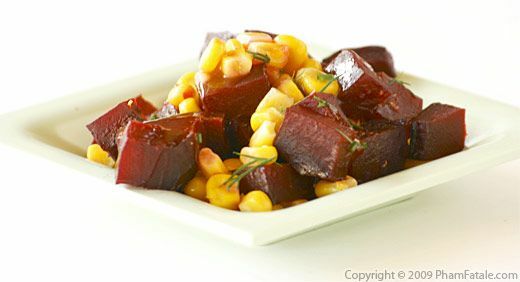 In a large bowl, combine the diced beets and corn kernels. Drizzle with tangerine vinaigrette. Toss well. Garnish with dill. You can also make this salad with golden beets. It's just as delicious. To give the salad a richer mouth feel, you can also add 1/4 cup of crumbled feta cheese or blue cheese. 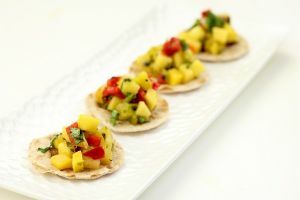 You can also add slightly toasted nuts such as cashews or walnuts for a balance in texture if you like. You can use fresh garlic instead of the pickled garlic but the garlic flavor is going to be a lot stronger. You can find pickled garlic in Asian stores. - Rule #1: Wear dark-colored clothes. - Rule #2: Grease your hands with oil before touching the beets. - Rule #3: Do not cut (or place) beets on a marble baking slab! - Rule #4: Use a plastic cutting board. You can eventually toss it or bleach it later. - Rule #5: If unfortunately, you stained your wooden cutting board, just as you would for wine stains, sprinkle a little kosher salt on the stain and spray a little water. Wait for an hour. 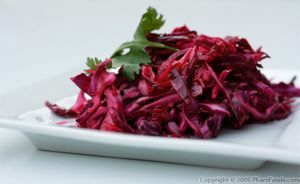 If you want to serve beet and corn salad as an appetizer, you can use endive leaves as a "cup". Just spoon the mixture onto the endive leaves and chill for an hour before serving. When you're ready to serve, drizzle with the tangerine vinaigrette. I used the same procedure as the clémentine salad dressing for the leek vinaigrette. Tangerine vinaigrette also pairs beautifully with steamed fish, such as swordfish. 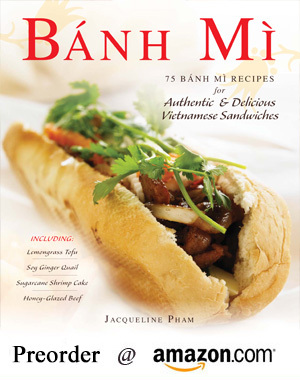 Published By: Jacqueline Pham on October 18, 2009. Love the combinations of corn and beet. Very delicate salad indeed. Love beets. For a while I thought they just came in the can. Until I came to the U.S. and saw them in the produce section. 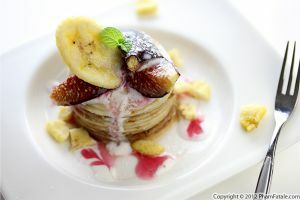 this looks gorgeous! What a gorgeous salad! The combination of beets & corn sounds amazing! What are the corn syrup and molasses for?